NEW! INSTANT BANK DEPOSITS. 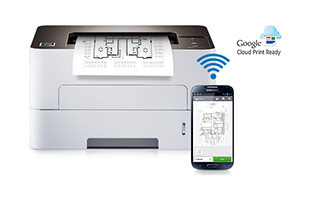 Scan bank drafts or checks with smartphone or tablet. Requires internet access and bank account that allows photo deposits. automated e-check without fees Turnkey. Install ChecksNet and in less than 1 minute you're ready to receive secure online payments. Includes secure SSL hosting of customized payment page on U.S.A. based internet service for one full year. No setup fees, monthly fees, transaction fees. & up to 20 users Make wallet-size or business size bank drafts, checks, voucher checks or deposit slips. Includes licenses and free support for up to 20 licensees. Install at business location(s), at home or all. Includes 10 Minute Priority Phone Support good for one full year..
Access to exclusive list of USA & Canadian banks & credit unions. includes toll-free numbers to verify funds plus other account information. Database contains over 29,640 financial institutions plus search engine to cross-reference bank names with routing codes. Updated monthly. NOTE: Printers sold only when ordered with a Max-Filled MICR toner cartridge (prices shown below). 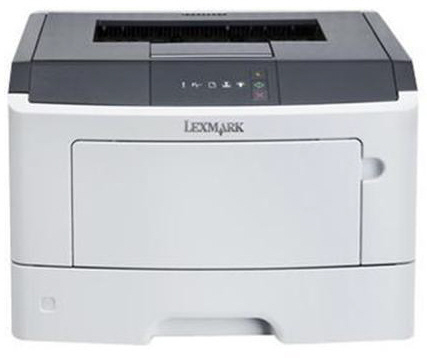 Get $20 to $100 recycle credit by returning empty cartridge(s) Amount depends on make, model & condition of cartridge. 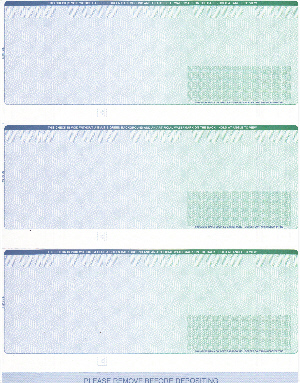 Print 45,000 encoded checks or bank drafs when used with Samsung M2830DW. 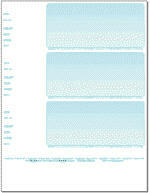 Wallet-Size Blue 600 forms printed on 200 sheets (3 checks per page) of American Bankers Association grade paper. Pre-perforated. Tamper-proof ink backgrounds. 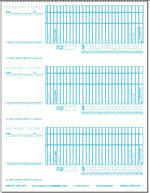 Business-Size Blue 600 forms printed on 200 sheets (3 checks per page) of American Bankers Association grade paper. Pre-perforated. Tamper-proof ink backgrounds. 1. Click to order from this website & pay by ChecksNet™. Receive immediate confirmation. NOTE: All prices on website are discounted for payment by ChecksNet. Credit cards, Western Union & mailed checks not discounted due to merchant fees, payment delays, extra paperwork. 2. Phone 213-394-9358. Assistance available 8A-4P Mon-Fri PST to pay by ChecksNet or credit card. 3. Credit Cards. We don't accept credit cards to purchase our software because they're opposite of ChecksNet which has no merchant fees, monthly fees, payment delays or chargeback losses. You can purchase our MICR toner cartridges, printers, check paper and other accessories with a credit card at Credit Card Order Page NOTES: ChecksNet prices are lower than paying by credit card because ChecksNet eliminates credit card merchant fees, payment delays and bad card losses. 5. MICR toner cartridges, printers and ChecksForms can be purchased by paying Western Union with cash or credit cards. Please phone 213-394-9358 for details. NOTE: Rates for FedEx and USPS include latest rate increases, insurance coverage, delivery zone charges, dimensional weight charges, oversize carton charges, package pickup charges, rural charges, residential delivery charges and fuel surcharges which fluctuate with gas prices. No recipient or 3rd party billing. Shipping costs are automatically calculated when you select products and quanitity at order page. Shipping costs shown on ordeer pages are for 48 U.S. States Only. Hawaii & Alaska require 2nd Day or Next Day Air. We do not ship to APO, FPO, Hotels, & P.O. Boxes. Delivery costs for Canada & other countries quoted on request and confirmed after receipt of order(s). Mon-Fri by 3PM EST (Noon Pacific Time) excluding holidays. Due to conditions beyond our control, 3 day, 2 day or overnight not guaranteed. ©2019 Glenn Welt All tradenames & marks are properties of respective owners. All prices, terms & descriptions subject to change without prior notice.